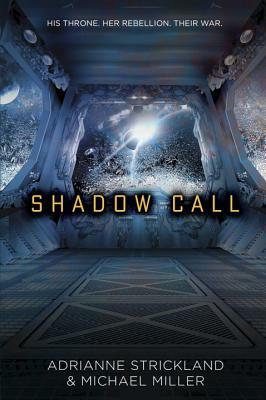 The rip-roaring space adventure sequel to the book that NYT bestselling author Lindsey Cummings heralded as "an explosive debut" has arrived! Full of action and romance, as if Star Wars was done in the vein of Joss Whedon's Firefly. Qole is the youngest starship captain in living memory on her homeworld of Alaxak and has spent her life hunting a dangerous energy source called Shadow. Alaxans distrust and evade the galaxy's royalty as a rule, but Qole is now harboring the exiled Prince Nevarian Dracorte, along with some very conflicting feelings about it--and him. Nev's feelings are just as complicated, but not towards her. When it comes to Qole, he knows one thing: he'd do anything to stay with her. But when Alaxak is attacked and Nev finds himself framed for murder, he realizes the only way to help Qole and her people is to fight for the throne that should be his. To become the royal she might hate. As for Qole, she would never have imagined herself as the leader of a rebellion. Despite that, she soon realizes that hiding from her power is no longer an option. It's time to answer the call, even if it kills her.